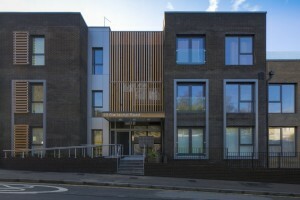 Marischal Road SE13 is a handsome building, designed by architects JTP. 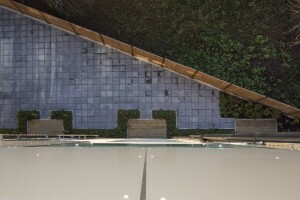 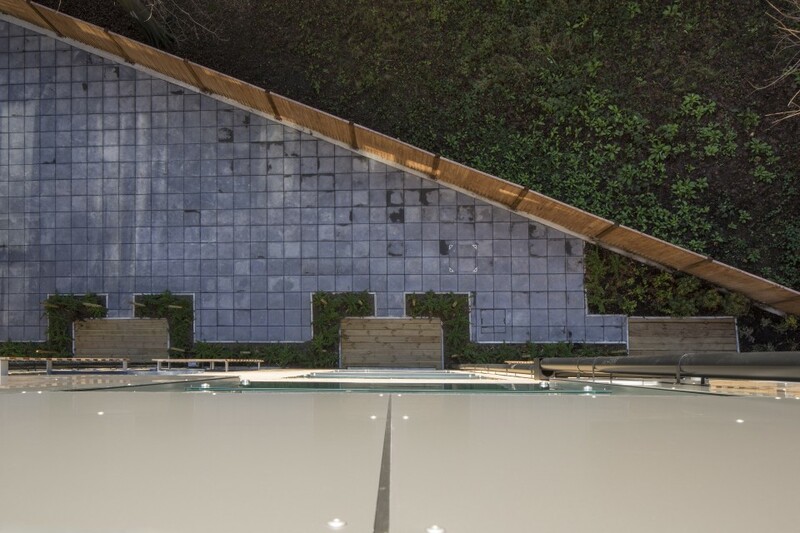 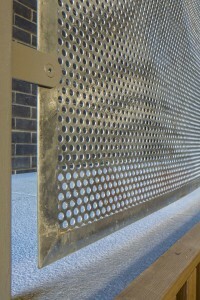 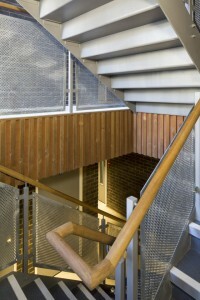 The intention was to create a new community which will integrate seamlessly into the existing one, and it treads a careful balance between fitting into the existing streetscape, while also bringing a smart new facade to the road that neighbours will be pleased to welcome and residents are proud to call home. The scheme was challenging because of its context on a corner, and the slope that runs down towards Lee High Road, and the approach of creating the larger piece out of smaller forms helps deal with this. 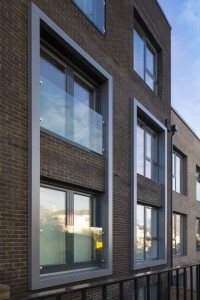 As with all Pocket buildings, the full height windows are generous in size, giving good views out and allowing swathes of natural daylight to flood the interior of the flats. 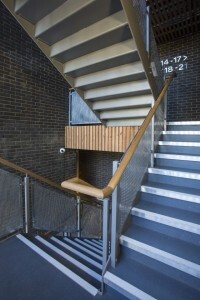 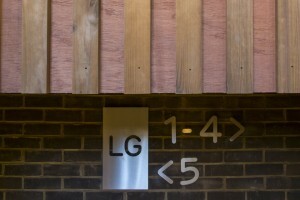 Vertical timber cladding highlights the main entrance to the building, creating a softer distinctive feel that contrasts with the brick buildings either side. 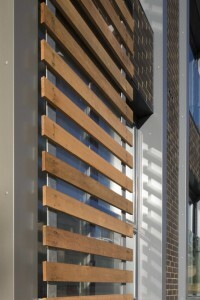 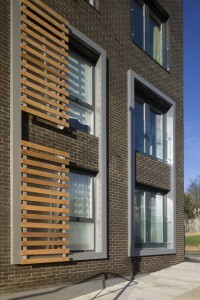 Timber louvres are used to soften the brick elevations and provide some privacy to residents. 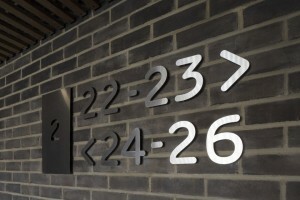 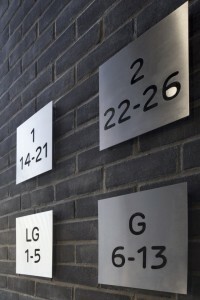 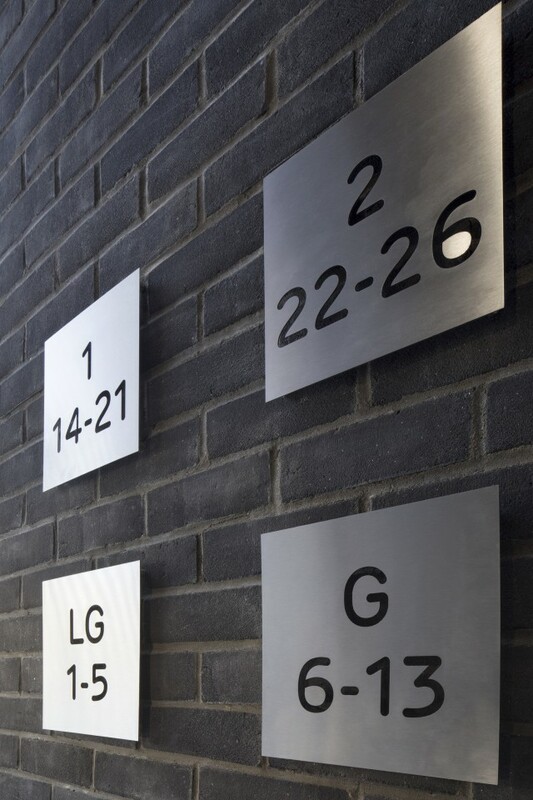 Smart signage means visitors can find their way around. 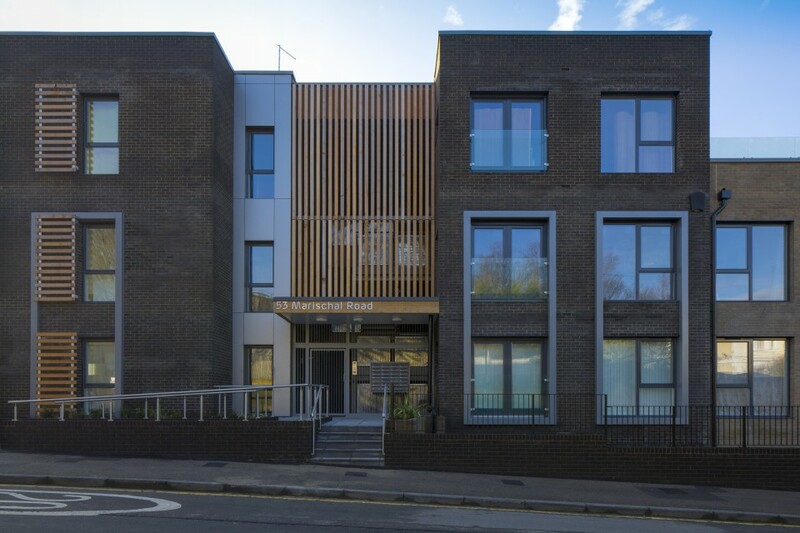 There’s a new communal garden space to the rear, which provides a green oasis in this gritty urban street and a place for residents to meet and communities to form. 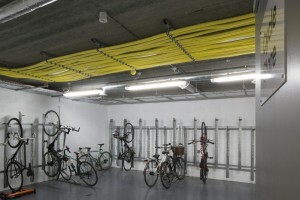 There’s generous, undercover cycle storage. 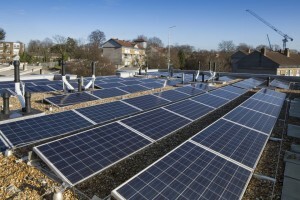 And PV panels on the roof to help with electricity bills! 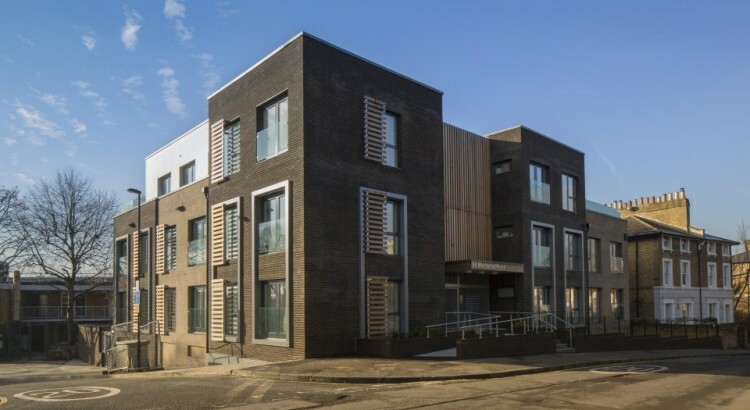 Marischal Road SE13 gave 25 first time buyers in Lewisham the chance to get on the housing ladder and own their home outright. 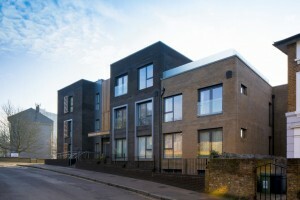 Residents moved in at the end of 2016.